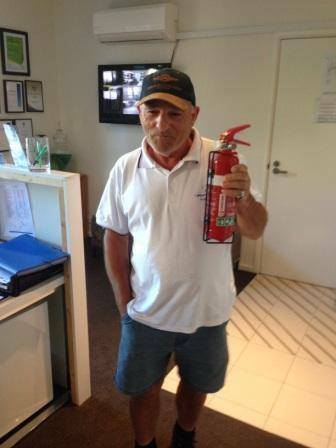 Q: What do you do when a property catches on fire because the resident has an ‘Oh my goodness, the chips!’ incident. A: Thank God that the Canberra Furnished Accommodation Facilities Team are in the next apartment! 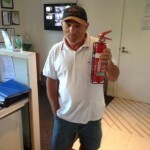 They grabbed the fire extinguisher from their car and saved the day. Well done Malcolm and Leanne.